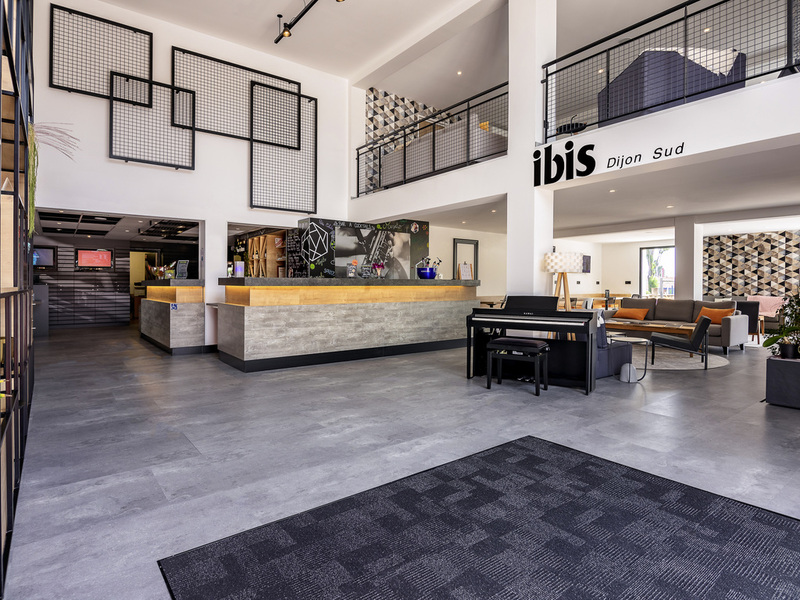 At the start of the wine route, in the heart of the Burgundy vineyards, the ibis Dijon Sud hotel is easily accessible from the center of Dijon (9.3 miles/15 km) or the A39 highway. The airport is 5.6 miles (9 km) away. The hotel offers 52 air-conditioned rooms with WIFI (including 3 for guests with reduced mobility) and 1 meeting room. A restaurant, 24-hour bar, terrace and free car park are also available. For sporty guests, tennis and golf are available 3.1 and 5 miles (5 and 8 km) away respectively. Located at the start of the Wine Route.